Influenza (flu) is a contagious viral infection that spreads through droplets when the infected individuals cough, talk or sneeze. Flu is different from common cold. Flu is more severe - with symptoms of fever, chills, headaches, runny nose, muscle aches, cough, sore throat, fatigue, nausea or vomiting, and diarrhea. Flu viruses are divided into 3 types: A, B and C.
Influenza A viruses are further sub-divided based on the subtype designation of Haemagglutinin (H) and neuraminidase (N) antigens, which include 17 H types and 10 N types. Type A usually causes the most problems. After 5 days, even when the fever is gone, the cough and weakness may continue. 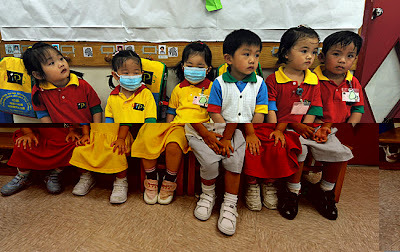 The flu is a seasonal disease occurring in winter months, but occurs all year round in equatorial regions like Malaysia. One of the dangers of influenza is that flu viruses are able to mutate. This is why immunity towards the virus does not last long, and people can catch the flu many times during their lifetime. Children and those above 65 years old are more susceptible as they generally have a weaker immune system. The highest risk of complications occurs among children younger than 2, as their immune systems are less mature. Complications include ear infections, sinusitis, bronchitis and pneumonia. 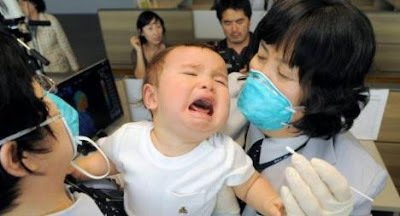 A child can contaminate others from up to 12 hours before the fever sets and up to 24 hours after the fever has broken. Keep yourself away from people who are sick as much as you can. Teach your child to cover his mouth and nose with a tissue when coughing or sneezing and wash his hands frequently to keep germs from spreading. Clean touched surfaces and commonly shared items regularly. Ensure your child maintains a healthy lifestyle, eg eat a balanced diet, drink enough fluids, get enough exercise and have adequate rest. Doctors advise that yearly flu vaccinations are the most effective way to protect your child against flu. The 2012-2013 vaccine protects against the A(H1N1) virus, A(H3N2) virus and B virus. Children between 6 to 9 months will need 2 doses of vaccines the 1st year they are vaccinated. They also need to get the pneumococcal vaccine as flu complicated by secondary pneumococcal infection leads to serious complications and death. Parents and daycare personnel are also advised to get a flu vaccine to prevent contracting these contagious flu. 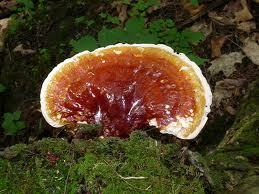 Lingzhi / Ganoderma is well known for its ability to increase our immune cells and reinforce their ability to destroy the harmful pathogens that enter our body. Lingzhi also strengthens our immunity and speeds up recovery in the event of illness. 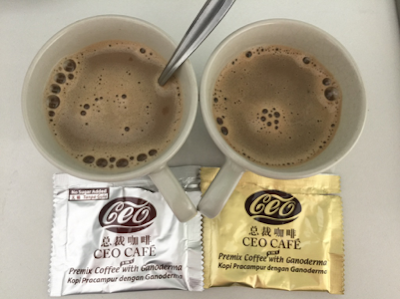 Particularly, Yung Kien Ganoderma has been accorded a certification by the Taiwan's Ministry of Health for its Immuno-Regulating Functions. Click on this link for details on how Lingzhi Protects our Immune System. In other words, if we have been taking Lingzhi consistently, our immune system is protected and we're more equipped to fight all the flu viruses and less likely to fall sick. As such, in my view, Lingzhi does as good a job as any vaccine. But it's even better - because not only is it Effective, but it is absolutely Safe, and there is No Side Effects. Newly born babies can be immediately fed with Lingzhi (without having to wait till 6 months old to be vaccinated). Please email me at askfuiping@gmail.com to buy Lingzhi. I am an Authorised Distributor. Please click here to refer to Shuang Hor company website for Product Description and Price.